In 2009 LLC “GC"Sodruzhestvo" introduced a new line of business, which includes storage, blending and export of honey. A pharmaceutical manufacturer with leading experience in the production of CEREAL-BASED BABY FOOD products. Our company is specializing in producing and exporting herbs , spices and seeds , we are one of the leading suppliers in Egypt. We are a healthy food manufacturer company, that has been operating more than 35 years of service for the Egyptian and Middle Eastern Market. as we doing business since last four decade has already with many type of agro-base product whole spices an other items too. Egypt has cancelled a tariff imposed last year on sugar exports, in a move that opens the door for exports to resume. Investment Minister Sahar Nasr said the project, with a cost of around $1 billion, would produce 900,000 tonnes of sugar annually. Egypt's strategic rice reserves are set to rise to about 12 months worth within 10 days from a current level of four months' supply. 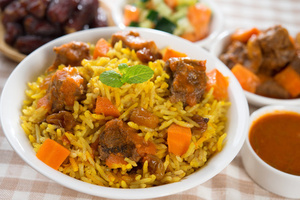 Egypt, traditionally a rice exporter, has contracted to purchase 20,000 tonnes of Indian rice. No reasons were given for the purchase.